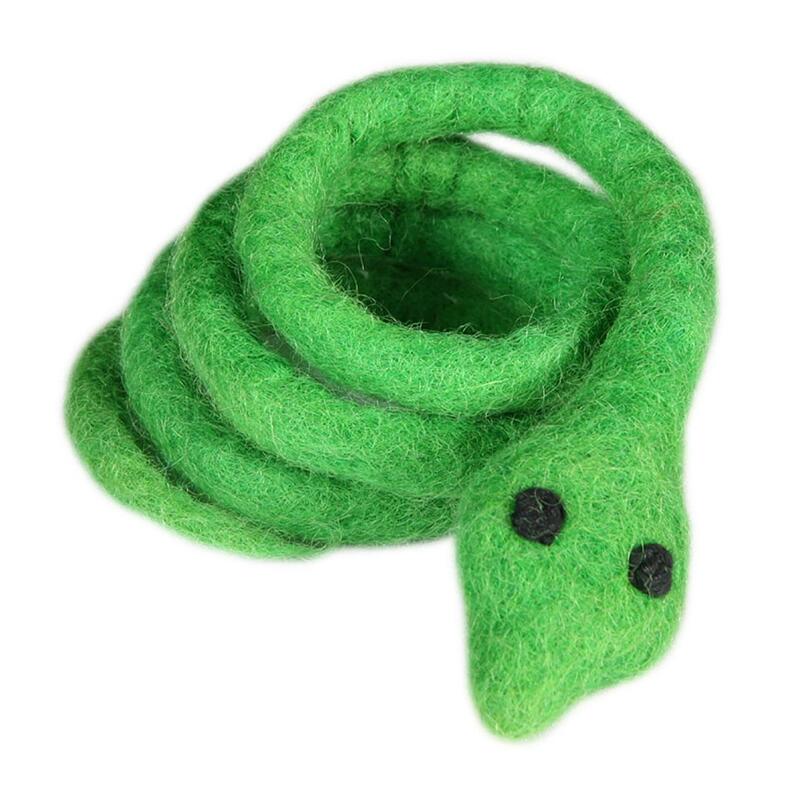 Make a purrrfect playtime for your feline with the Green Snake Wooly Wonkz Safari Cat Toy! The Wooly Wonkz Safari Cat Toy is great for your pouncing cat or a small dog. Soft and clawable texture cats crave will make playtime fun and safe. Lovingly made in Nepal. Colors and sizes may vary making each toy special. Made of 100% New Zealand wool. Crinkly film interior will keep the play going. Check out other colored fish and Wooly Wonkz cat toys. I was happy to find this site and look forward to receiving my purchase. I am adopting a puppy in the near future and am in the process of getting some supplies for her!